Do you want better career choices? Do you know what career will suit you? There is no other aspect of your life outside family and friends that is more important than your career. Yet people make career choices and find that they are in a career that they are not suited to. Have you been passed over for a promotion you feel you have earned? Are you bored in your job and want more challenges? Do you want to earn a higher salary? Are you returning to the workforce and are unsure of the relevance of your skills and how to utilise them?. You want a career change and don't know how to go about it? These scenarios are very common. There are many reasons people want a career change. Some people will spend a lot of time trying to make sense of where they fit into the workforce and become more confused about the options. They may find something that interests them but can't take the next step. Many people seek the help of a career guidance counsellor or a career coach, while others use a number of online career tests. First of all let's look at career coaching. A career coach's role varies, Some work within companies and others work with individuals and groups. Most would say they focus on what is important to you now and assist you to identify what you want in your career. A career coach will assist you to focus on your priorities in life, to gain clarity and ultimately to unlock your hidden potential. It is action orientated. It has to be if you are to move forward. How to choose a career coach? No doubt there are many good career coaches - but how do you find them? What do you look for? Credentials: Choose a coach who has some recognised training and belongs to an industry accreditation that adheres to a code of ethics. Credibility: Is the coach recognised within the industry? Has he/she got a active presence in the industry? Have they published or sought out as an expert? Have they been interviewed by the media? Life experiences: Can they relate to your issues? Have they had real world experiences? Annemarie Cross is a career coach who can fulfill all this criteria. She is a Career and NLP Coach, a Certified Reach Personal Branding Strategies and Certified Reach Online ID Strategist and Workplace Counsellor. She is also a member of many industry associations including Career Development Association of Australia, Career Directors International, and Career Management Alliance. She also has tertiary qualifications and has spoken on ABC radio, published career books and has a high profile within the industry. You need to see her incredible credentials yourself. Annemarie has also overcome personal hurdles that have impacted on her career and formed her career choices. She can certainly relate to her clients. See her personal journey. The Purposeful Careers Individual Silver Quest one-to-one coaching program includes, in Annemarie's words, demystifying the career planning process; support you in gaining clarity around your talents, values and purpose; and allow you to design a career path that is in alignment with your life’s calling. The last criteria to choosing a coach is to contact them and speak about what you hope to achieve from working with a career coach. Contact Annemarie now. Many people are locked into a job that lacks job satisfaction but don't know what type of work they are suited to. Finding a career that will fill you with passion involves career assessment. If you want career direction and don't want to use a career coach, online career assessment tests can provide you with many career options you had not considered based on a range of factors such as interests, aptitude, knowledge and a range of other factors. Career Planner's online career tests are used around the world in Education, business and other institutions. Career values test The Knowdell™ Career Values Card Sort will evaluate your personal values to help you make a career decision based on your belief system. In just 15 minutes you can discover the type of work that will fulfill you. If you are just starting your career or want a career change. The Career Test will provide you with career choices that are in tune with your interests, values, personality and skills. Creating awareness of your personality type will assist you in career choices and your workplace relationships. 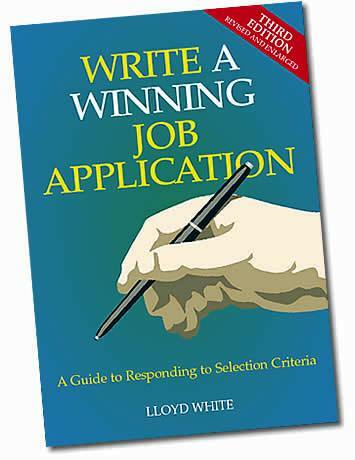 Written by a career coach, this book helps you to put your career back on track. Career Magnifier provides career advice and career counselling to help you make a career change. This online career test assesses your interest in over 170 occupations to determine the career and course that best suits you. The assessment is based on extensive research and provides guidance to people of all ages. Are you confused about career choices available to you? Understanding your personality and your personal and career strengths and weaknesses will assist you to make career choices that are aligned with your values and interests. You will receive a comprehensive report that will assist you to take your career in a direction that is right for you. Get Promoted by Getting Results!